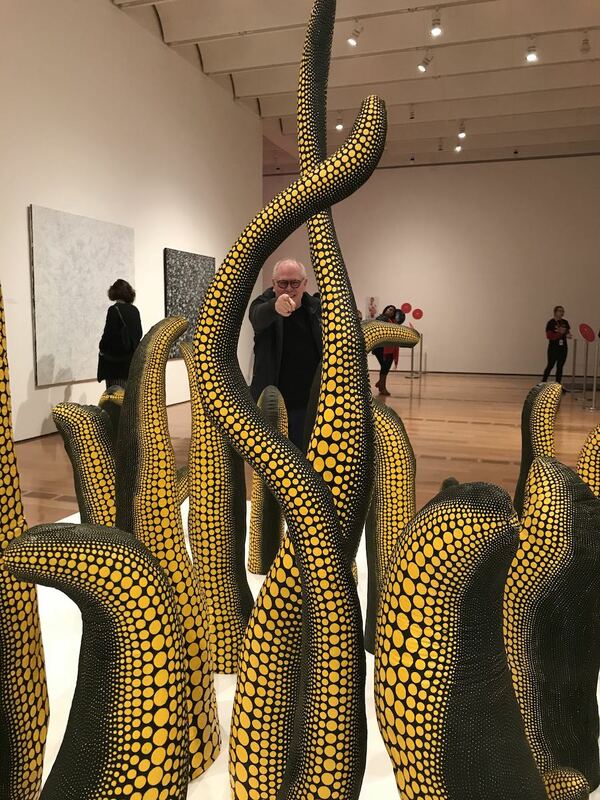 While ordering member tickets to the Yayoi Kusama ‘Infinity Mirrors’ show at the High Museum in Atlanta, mysteriously got preview tickets additionally. Did not question why, rather, attended the show on November 15th. Will be returning on December 4th for another look. Ms Kusama allegedly lives in a mental institution and practices her craft there. I’m looking into a similar arrangement… Here is my beau surrounded by tentacles. 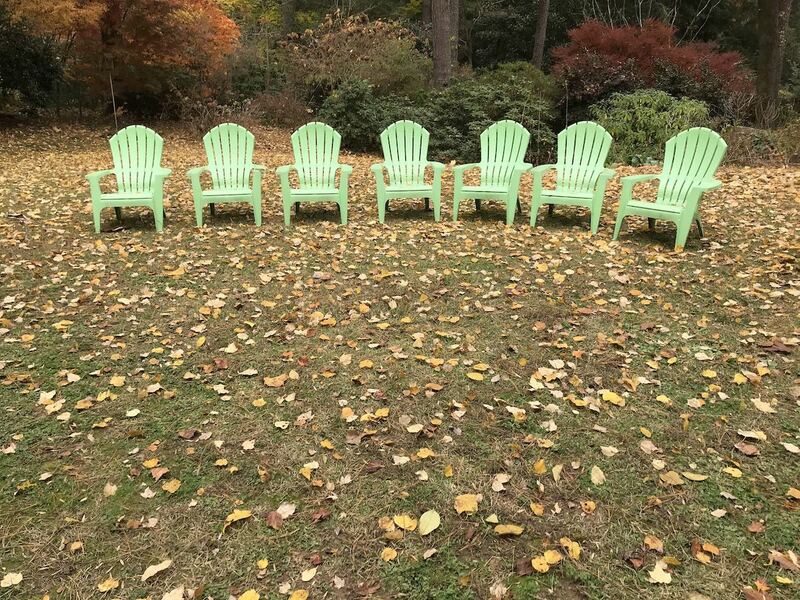 Spent Thanksgiving with friends at the home of friend Franklin A. Next day he took us to a small six acre park, formerly the grounds of a residence in one of the tonier neighborhoods in Atlanta. The residence — neat and somewhat severe in a good way — remains on the edge of the property, still privately owned, and ‘sometimes occupied’ Franklin says rather enigmatically. Autumn did finally arrive, BTW. I was very glad to see you posting to know you are doing well. I always appreciate reading about your goings-on. I want a December post!